I recently made a trip out to Bahia Principe Residences and Golf Resort in order to learn more about what this residential real estate golfing and beach community has to offer. 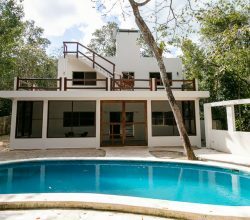 It is located close to the main town of Akumal, which lies between the Playa del Carmen real estate and Tulum property markets, and is easily accessible by car or transport. The Bahia Principe real estate developments are on the west side of the highway, while the east side has three five star beachfront resorts that are part of Bahia Principe. The first thing that was obvious upon arrival was how safe the place is. Alex Martinez who is our expert Mayan Riviera real estate buyer’s agent met me at the gate. As you would expect with a gated community the security here is 24/7, so residents can quite rightly feel safe and protected. Bahia Principe real estate offers many types of options from land, to condos, to homes – the most expensive homes being several million dollars. 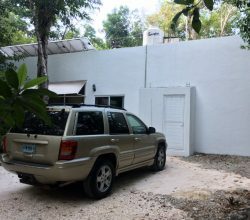 But, the price range for real estate in Bahia Principe begins at $150,000 and goes up to $700,000 USD – which will get you over 2,000 square feet with high end finishes and appliances. Bahia Principe Villas for Sale – These villas have beautiful golf course views. New Houses for Sale – top of the line finishes in the new home. One of the things that was emphasized to me on my tour was the ability to buy a lot and design and build your own home. Bahia Principe has a program in place to assist in making this happen and is ideal for anyone who wants maximum creative control over what their home will be like. There are several other Bahia Principe real estate projects that are worth mentioning. 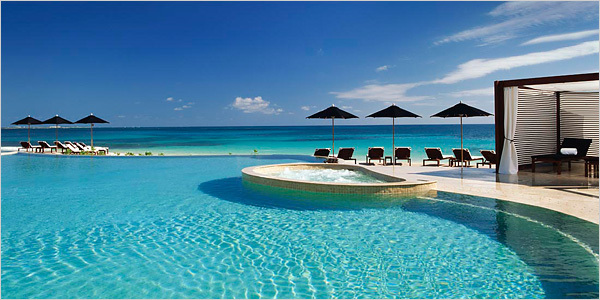 They also offers direct financing and a vacation rental program on all of their real estate in Bahia Principe. 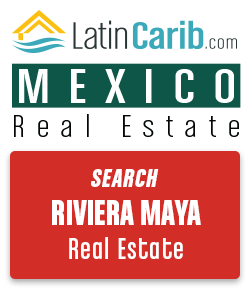 New Bahia Principe penthouses and condos for sale in Mexico. 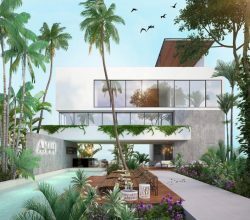 Strategically located opposite the most beautiful lake on the Riviera Maya Golf Club’s golf course, Kaan-Ha By Bahia Principe is becoming Tulum’s most exclusive residential complex. 50 two- or three-room boutique apartments, with privileged views and meticulously designed amenities to satisfy the needs of a unique lifestyle. A place that certainly succeeds in merging nature with luxury and elegance. Bahia Principe Residences & Golf presents 50 unique apartments with a top location within the Bahia Principe residential complex— right on the lake running along the entire 4th hole of the Riviera Maya’s best golf course. This is a condominium project in Bahia Principe with it´s own unique design concept. The word Terraza is Spanish for terrace, and owner has one of their own. The design is quite stylish and contemporary, with a total of 60 one, two and three bedroom condos and lofts. The third floor condos have a rooftop garden with a private pool, lounge area and view that faces hole 7 of the golf course. 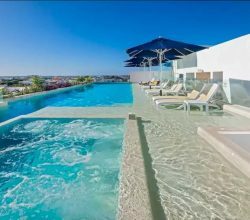 This is one of the newer projects in the Bahia Principe real estate development, consisting of one and two bedroom penthouses, with prices that begin at $175,000 USD. The granite counters and marble floors, a walk-in closet, a bathtub, and a terrace with a Jacuzzi. Among the amenities are two pools with a swim up bar and barbecue area. One of the most obvious talking points was about the Riviera Maya Golf Club´s impressive 27-hole golf course of the, which is divided into an 18-hole and a 9-hole. The design of it makes use of the many naturally elements that make up the geography of the area. As players navigate the course they go past jungle terrain, lakes and even cenotes. All of this is work of renowned golf course architect by Robert Trent Jones II, and owing to its quality it was recently voted as the 2nd best golf course in all of the Riviera Maya. As someone who has many avid golf players in the family, including retirees who make their winter homes in warmer climates, it looks of all levels will appreciate the layout, which is as spectacular as it is challenging. Unlike Mayakoba, which is located further north and has a similar concept, Bahia Principe does not restrict residents from having access to the resort. If you purchase Bahia Principe real estate you can obtain a day pass for the Bahia Principe resort, which is great if you have family and friends come down and visit. You are allowed to put up to 20 guests in the hotel, which offers special rates. The beach area actually open to anyone, including members of the public. For residents of Bahia Principe there is a bridge which extends across the highway, taking them directly to beach access area. This eliminates the need to cross at ground level, thus avoiding the traffic down below. As my tour wrapped up it became clear that Bahia Principe have a lot for sale at the moment, and there is more to come in the future as they continue to expand. One of the ideas in the works is to build a commercial area, a clubhouse, and a country club with tennis courts and pool area. They are also in talks about building schools on-site, which is perfect for families considering moving here full time with their kids. 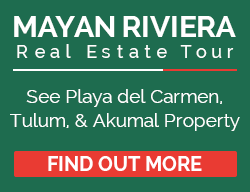 With its´ continuous growth in development, options for financing, and ability for buyers to design their own homes, this is an attractive prospect for foreigners looking to make a home in the Riviera Maya. Are you interested in real estate in Bahia Principe? 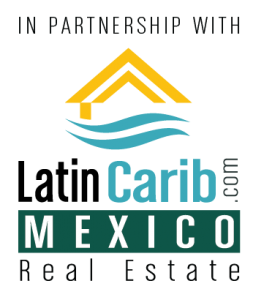 Contact us below to get more information on the Bahia Principe real estate in Akumal Mexico. 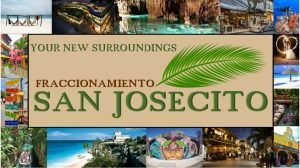 Or to get in contact with us about any questions you have about living, investing, or retiring in Mexico.